Trade has always been shaped by technological innovation. In recent times, a new technology – Blockchain – has been greeted by many as the next big game-changer. 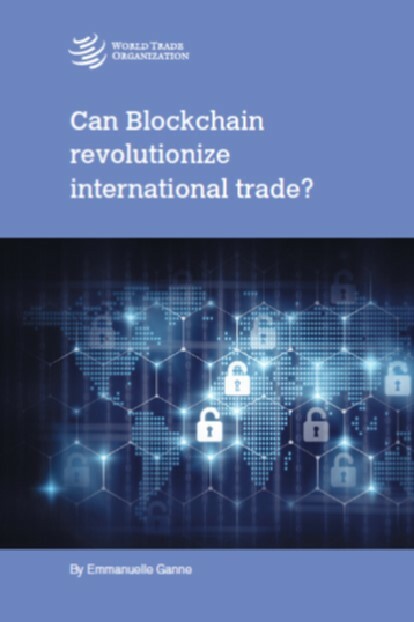 This publication explores the question of whether Blockchain may revolutionize international trade. Opening with an explanation of the technology, the publication goes on to analyse the relevance of this technology for international trade by reviewing how it is currently used and how it may potentially be used in the various areas covered by WTO rules. In doing so, it offers insights into the extent to which this technology could affect cross-border trade in goods and services and in intellectual property rights. The publication also discusses the potential of Blockchain for reducing trade costs and enhancing supply chain transparency, as well as the opportunities it provides for small-scale producers and companies. It concludes with a review of various challenges that must be addressed before the technology can be used on a wide scale and have a significant impact on international trade. Read more about Can Blockchain revolutionize international trade? In seeking answers to these questions, the report assembles a list of 52 research-based digital product features that are highly correlated with the ten competencies and character qualities and identifies five nascent technology trends – wearable devices, leading-edge apps, virtual reality, advanced analytics and machine learning, and affective computing – that extend ways of fostering social emotional learning (SEL) and also offer potential for exciting new learning strategies. The report concludes with recommendations to each stakeholder on actions to advance SEL and SEL technology adoption. Manufacturing is the most important source of economic development and growth. The economic importance of manufacturing goes far beyond its contribution to GDP, for which the European Commission has put forward a target of 20 %. The manufacturing industry in the EU is worth € 7.000 billion in turnover and it accounts for 80% of the total EU exports and 80 % of the private R&D expenditure. Moreover, it provides jobs for 30 million employees directly and is the source for twice as many jobs indirectly, the vast majority in small or medium-sized enterprises. To maintain its importance the industry in Europe needs modernisation. Last year the contribution of manufacturing to EU GDP has declined to 15.1 %. To be able to reverse this trend and start an Industrial Renaissance in Europe, we need more investment in innovation, resource efficiency, new technologies and skills. 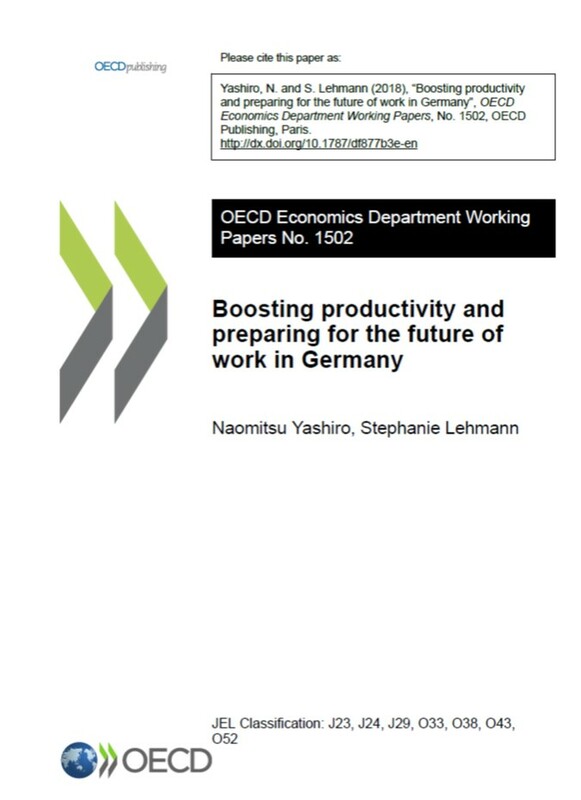 In the conclusions of the European Council of 20-21 March 2014, the Heads of State and Government underlined that industrial competitiveness should be at the centre of policy-making at all levels. It is an important signal for both the public and the business sector, to which they should respond with specific measures facilitating the industrial change. That’s why advanced manufacturing is one of the six priority areas for the modernisation of industry in the European Union. The market uptake of advanced manufacturing and clean technologies can improve productivity, resource efficiency and competitiveness in any manufacturing sector. 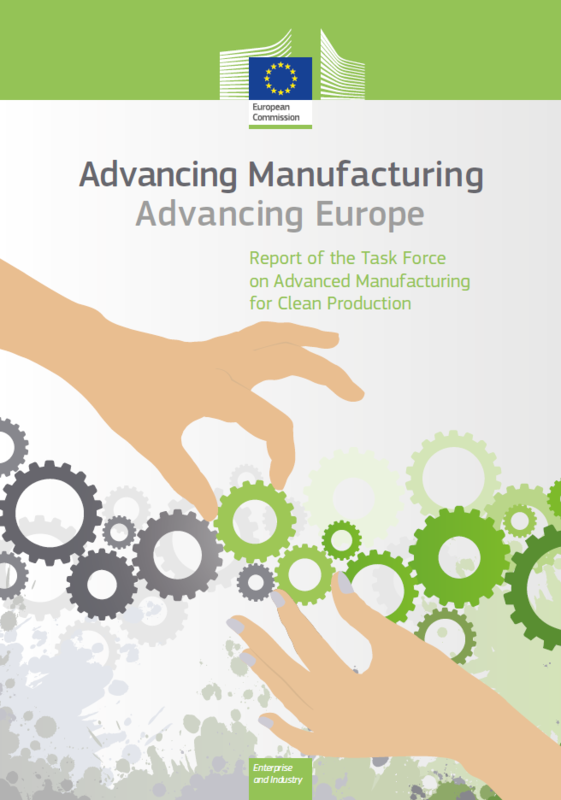 To speed up this process a dedicated Task Force on Advanced Manufacturing for Clean Production was created in 2013. One year after its creation, the Task Force has drawn up a set of targeted actions aimed at advancing the European industry. 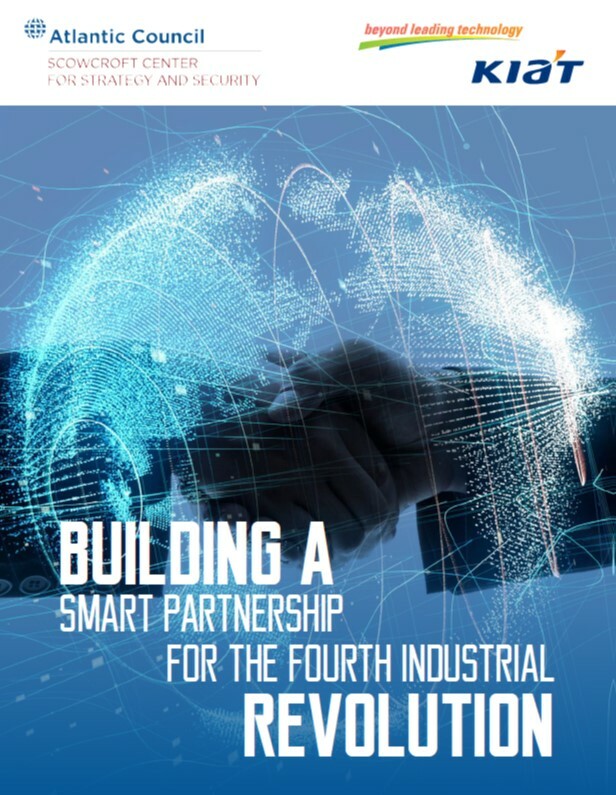 In order to give Europe a competitive lead in the new industrial revolution, we need to engage in a partnership between the European Commission, Member States and industry. Europe needs industry and industry needs Europe. Get prepared for the future of manufacturing!